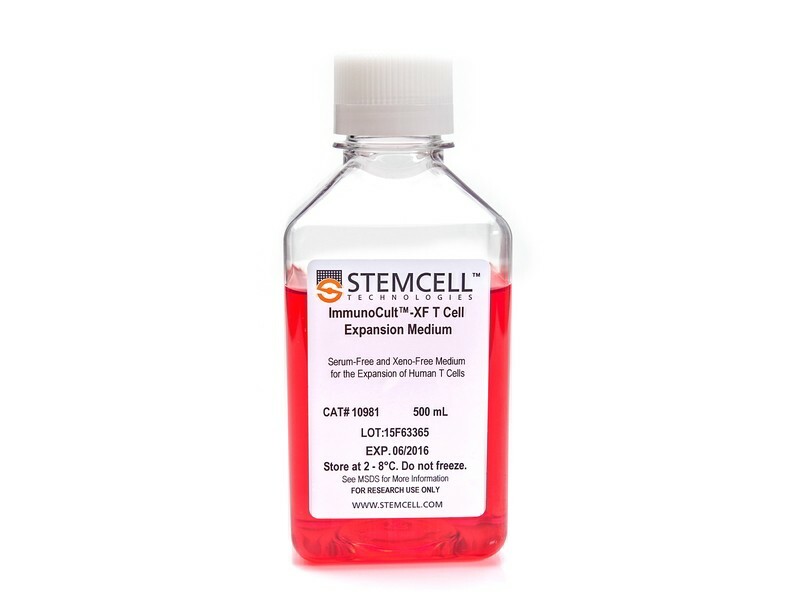 ImmunoCult™-XF T Cell Expansion Medium is a serum-free and xeno-free medium optimized for the in vitro culture and expansion of human T cells isolated from peripheral blood. 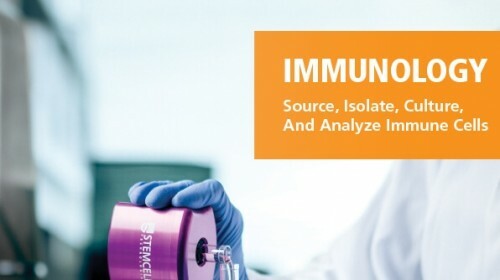 Recombinant cytokines, required for the optimal growth and expansion of T cells, have not been added to ImmunoCult™-XF T Cell Expansion Medium. This allows users the flexibility to prepare medium that meets their requirements. 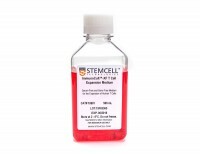 This product aims to be developed as a cGMP-grade reagent for cellular therapy research. 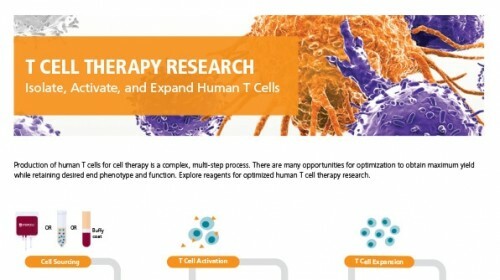 Learn more at www.stemcell.com/t-cell-therapy. 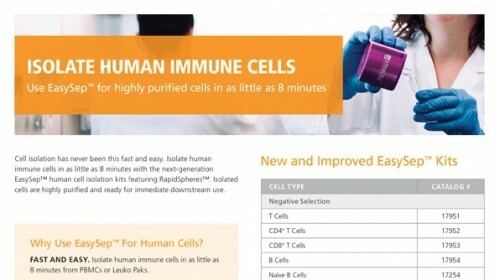 T cells were isolated from human peripheral blood samples using the EasySep™ Human T Cell Isolation Kit (Catalog #17951), stimulated with ImmunoCult™ Human CD3/CD28/CD2 T Cell Activator (Catalog #10970), and cultured in ImmunoCult™-XF T Cell Expansion Medium supplemented with rhIL-2. 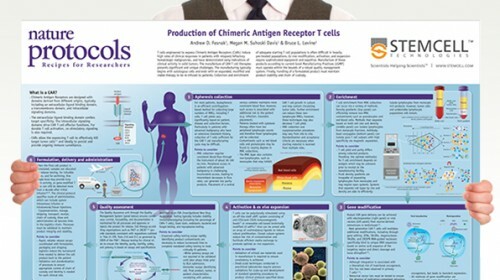 T cells were stimulated with ImmunoCult™ Human CD3/CD28/CD2 T Cell Activator on day 0 and every 7 to 8 days for the duration of the culture. T cells were analyzed on days 4, 7, 8, 10, 11, 14, 18, and 21 for fold expansion relative to the initial cell seeding density. 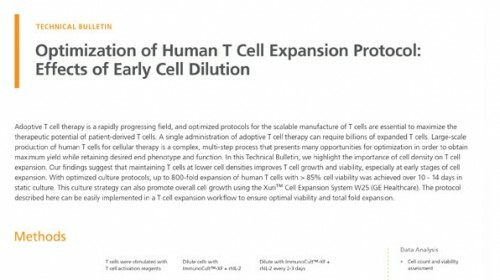 Compared to all competitor media tested, ImmunoCult™-XF T Cell Expansion Medium showed significantly higher expansion of total T cells. 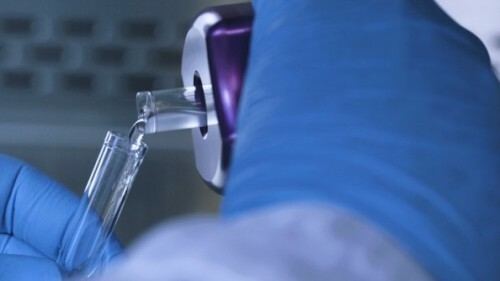 Competitors 1 to 4 include, in no particular order, X-VIVO™ 15 (Lonza), AIM V® Medium (Life Tech), CellGro® DC Medium (CellGenix), and RPMI 1640 + serum. Each data point represents the mean fold expansion ± S.E.M. 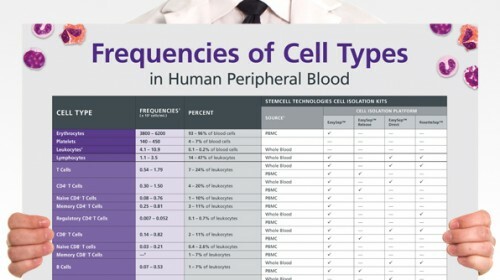 at the specified time points (p<0.05 for ImmunoCult™-XF versus all media for days 8, 11, 14, 18, and 21, tested using two-tailed, paired t-test with unequal variance, n = 6 to 19 donors). 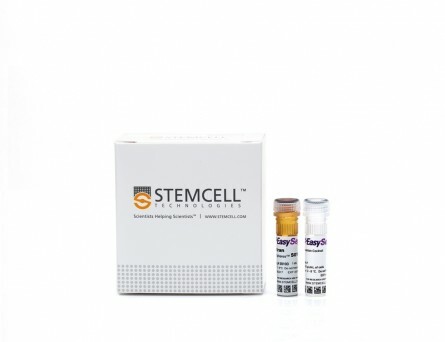 The average fold expansion of T cells in ImmunoCult™-XF T Cell Expansion Medium were 15-fold on day 7, 80-fold on day 10, 450-fold on day 14, and 4,000-fold on day 21. 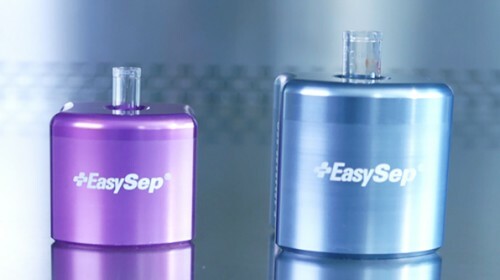 T cells were isolated from human peripheral blood samples using the EasySep™ Human T Cell Isolation Kit (Catalog #17951), stimulated with ImmunoCult™ Human CD3/CD28/CD2 T Cell Activator (Catalog #10970), and cultured in (A) ImmunoCult™-XF T Cell Expansion Medium or serum-free competitor media with rhIL-2 in three replicate cultures per donor, or cultured in (B) ImmunoCult™-XF T Cell Expansion Medium or serum-supplemented competitor media with rhIL-2 in three replicate cultures per donor. 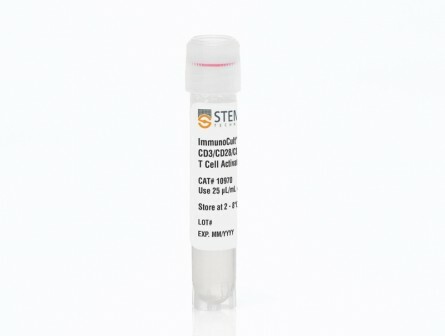 T cells were stimulated with ImmunoCult™ Human CD3/CD28/CD2 T Cell Activator on day 0 and every 7 to 8 days for the duration of the culture. T cells were analyzed on day 21 for fold expansion relative to the initial cell seeding density. 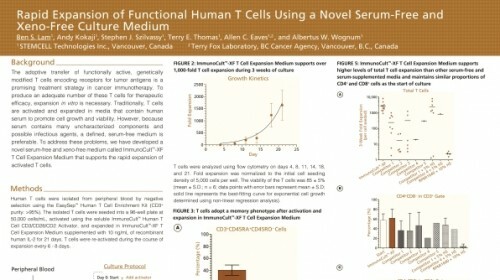 (A) Compared to all serum-free competitor media tested, ImmunoCult™-XF T Cell Expansion Medium showed significantly higher expansion of total T cells. Competitors 1 to 6 represent serum-free competitor media, which include, in no particular order, X-VIVO™ 15 (Lonza), AIM V® Medium (Life Tech), CellGro® DC Medium (CellGenix), CTS™ OpTmizer™ T Cell Expansion SFM (Life Tech), TexMACS™ Medium (Miltenyi), and PRIME-XV® T Cell Expansion XSFM (Irvine Scientific). Each column with error bars represents the mean ± S.E.M. 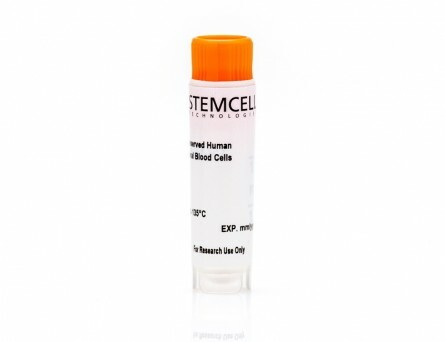 (p<5x10-13 for ImmunoCult™-XF T Cell Expansion Medium versus all other serum-free media, tested using the linear mixed effect model with linear regression, n = 4 to 19 donors). 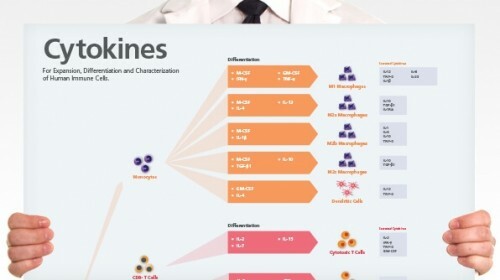 (B) Compared to all serum-supplemented competitor media tested, ImmunoCult™-XF T Cell Expansion Medium showed similar or significantly higher expansion of total T cells. Competitors 1 to 4 represent serum-supplemented competitor media, which include, in no particular order, X-VIVO™ 15 + serum, CTS™ OpTmizer™ T Cell Expansion SFM + serum, RPMI 1640 + serum, and IMDM + serum. Each column with error bars represents the mean ± S.E.M. (p<0.0006 for ImmunoCult™-XF T Cell Expansion Medium versus all other serum-supplemented media except for Competitor 4, tested using the linear mixed effect model with linear regression, n = 1 to 19 donors). 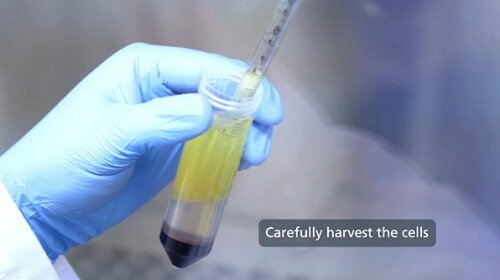 T cells were isolated from human peripheral blood samples using the EasySep™ Human T Cell Isolation Kit (Catalog #17951), stimulated with ImmunoCult™ Human CD3/CD28/CD2 T Cell Activator (Catalog #10970), and cultured in ImmunoCult™-XF T Cell Expansion Medium supplemented with rhIL-2. 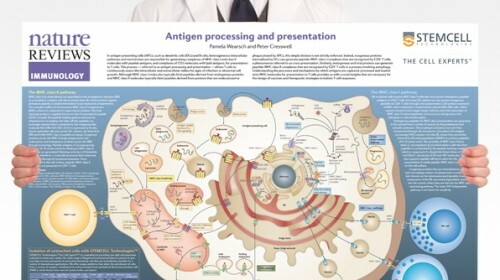 T cells were stimulated with ImmunoCult™ Human CD3/CD28/CD2 T Cell Activator on day 0 and every 7 to 8 days for the duration of the culture. 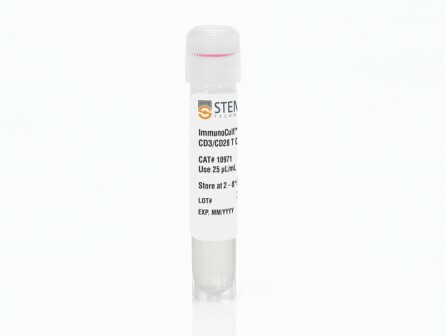 On day 0 and day 21, T cells were harvested and analyzed for (A) CD4+ and (B) CD8+ expression. Each column with error bars represents the mean ± S.E.M. (n = 24 donors for day 0 and n = 19 donors for day 21). 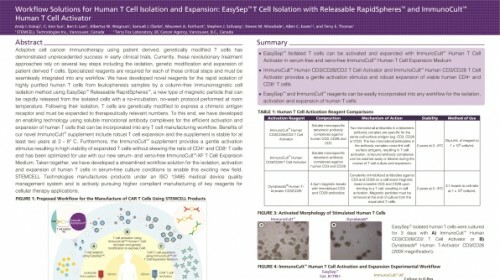 T cells were isolated from human peripheral blood samples using the EasySep™ Human T Cell Isolation Kit (Catalog #17951), stimulated with ImmunoCult™ Human CD3/CD28/CD2 T Cell Activator (Catalog #10970), and cultured in ImmunoCult™-XF T Cell Expansion Medium supplemented with rhIL-2. 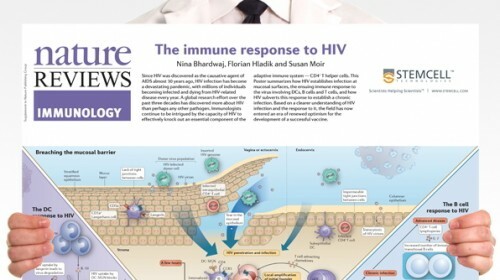 T cells were stimulated with ImmunoCult™ Human CD3/CD28/CD2 T Cell Activator on day 0 and every 7 to 8 days for the duration of the culture. 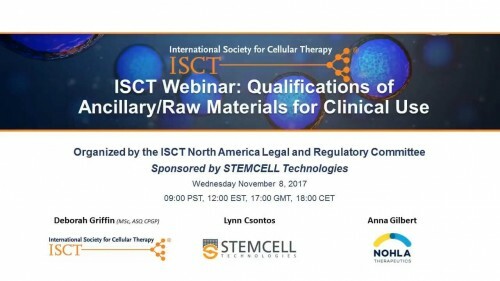 On day 21, T cells were harvested and analyzed for intracellular IFN-gamma and IL-4 after stimulation with PMA and ionomycin for 4 hours and with Brefeldin A for 2 hours. The production of IFN-gamma and IL-4 in CD3+, CD3+CD4+CD8-, and CD3+CD4-CD8+ cells were determined. Each stacked column with error bars represents the mean ± S.E.M. (n = 9 donors). 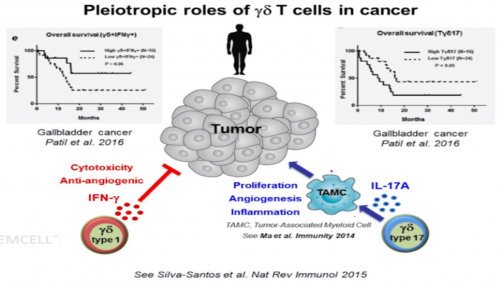 Tuning ITAM multiplicity on T cell receptors can control potency and selectivity to ligand density.